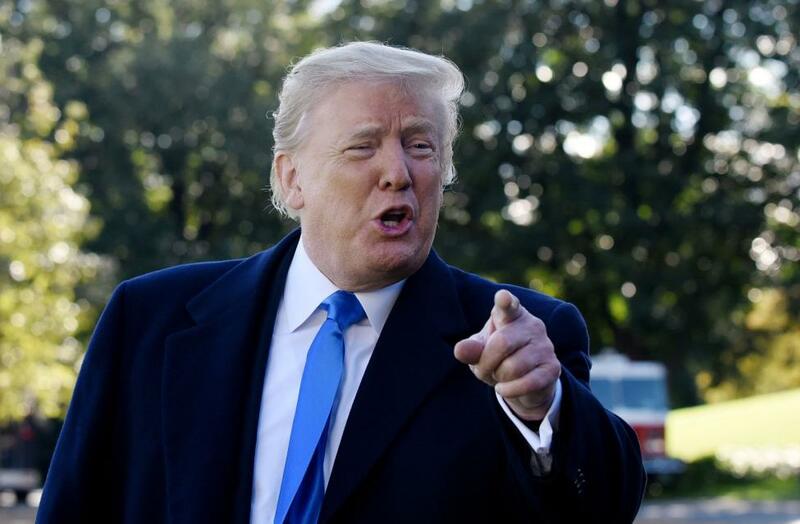 The 2020 presidential election is still more than two years away, but President Donald Trump has already raised more than $100 million for a potential re-election bid, according to Federal Election Commission filings on Monday. Trump raised more than $18 million during the July-to-September fundraising quarter through his campaign and fundraising operations he shares with the Republican National Committee, CNN reported. That number brought his total campaign fundraising amount to about $106 million since January 2017. The majority of Trump's donations come from small donors. FEC filings show that about 56 percent of Trump's war chest is comprised of donations of $200 or less, the Washington Post reported. Some of the funds have already been spent. And over the past three months, the Trump campaign has doubled spending, The New York Times reported. Between the beginning of July and end of September, Trump's campaign spent $7.7 million, compared to $3.6 million over the previous three months. The largest expenditure over the past three months was $1.6 million to American Made Media Consultants, a group controlled by Trump campaign officials that handles TV, radio and online messaging. The campaign has also paid $1.3 million to Jones Day, the Washington, D.C. law firm that represents the Trump campaign in matters related to the FBI's ongoing investigation into alleged Russian interference in the 2016 presidential election.